The Bandito Accutrack makes your shot more quiet, accurate, and precise. Can be added to most any speargun. 3212-20A to 3212-54A Accutrack. Add the Bandito Accutrack to your spearguns that do not come with one for a quieter, more accurate, more precise shot. The polymer construction greatly reduces noise created by your spear shaft hitting the speargun barrel. The Bandito Accutrack helps you reload the shaft by keeping the shaft straight as it goes into the receiver. The Bandito Accutrack also protects your speargun barrel from damage as the shaft leaves and enters the speargun. 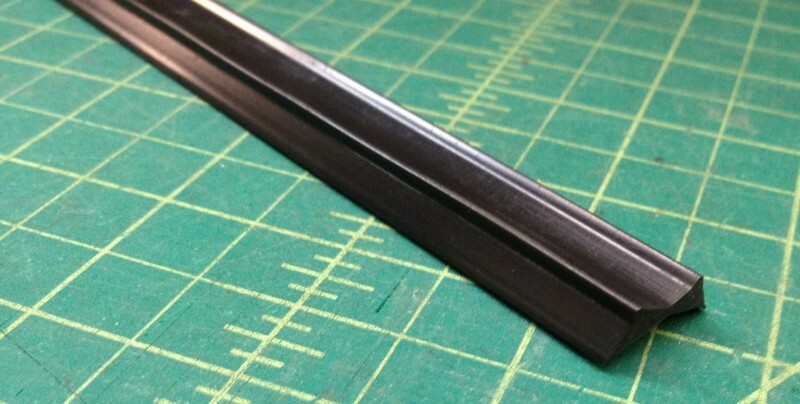 The spear shaft rides along the v-groove in the black Polymer Accutrack and keeps the shaft flying straight. It can be cut to length fit your spear gun perfectly.